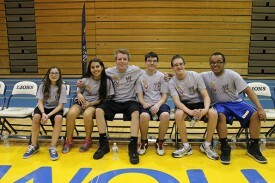 The game was full of excitement – several 3-point baskets were made and there was an unbelievable tie ending! During half-time, Stephanie McMahon, Chief Brand Officer spoke about the WWE’s commitment to supporting Special Olympics and the USA Games taking place June 14-21 in New Jersey. She says she’s thrilled to be an Honorary Chair for Team Connecticut and can’t wait to see more than 3,000 athletes competing for gold this summer. 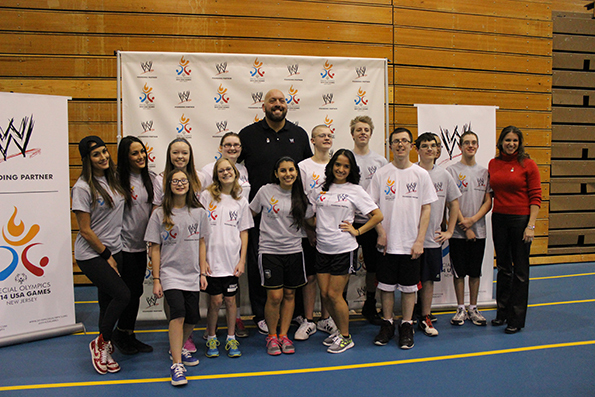 Superstar Big Show and Divas Nikki and Brie Bella also spoke about the importance of inclusion, acceptance and anti-bullying. They signed the school’s R-Word banner and presented the principal with a framed certificate from the WWE. The Big Show takes a selfie with Mackenzie Carlson. That evening, another group of Special Olympics Illinois’ USA Games athletes were invited to attend a hospitality event at the Allstate Arena in Chicago complete with food, beverages and appearances by several WWE Wrestlers before attending the RAW Live televised event. Athletes were treated to ringside seats so they could experience all the action up close. 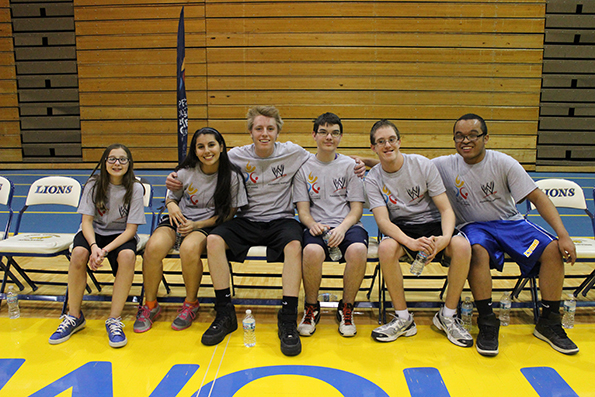 We’re grateful for the tremendous opportunity that the WWE and the 2014 USA Games brought to Special Olympics Illinois. Our athletes will certainly be talking about this wonderful experience for days!